This book is adorable!!! It is filled with equations like: dark + popcorn = movie. There are a ton of simple addition equations, but there are some with triple addition, two addition and a subtraction, multiplication and division. There is even a does not equal! 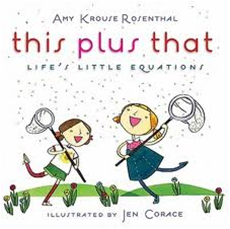 I used this book as an intro to our unit on addition and subtraction. I only had half a math period (half the period was used for introducing QR codes!!) so I did not want to get into anything too heavy - this was perfect. 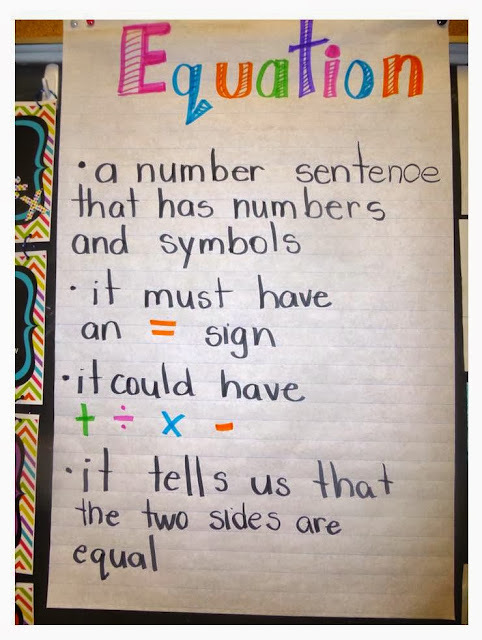 I made an anchor chart with the word equation at the top and nothing else - we brainstormed what we thought it was and some examples. Here is our finished chart. Then we read the book and my students loved it!! Next the students had to create their own equation and illustration. 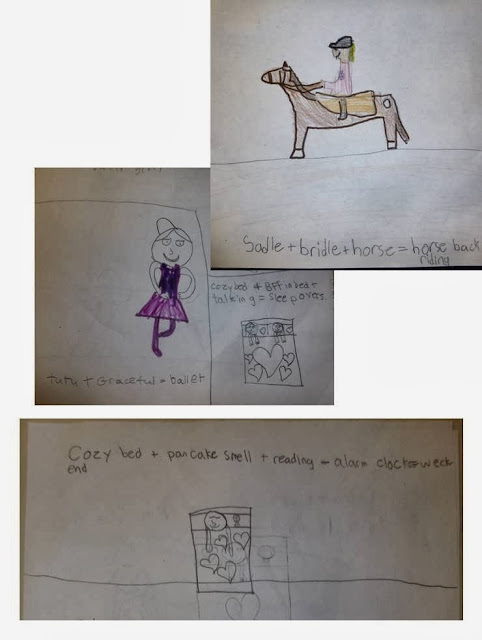 Here are some samples of their work. 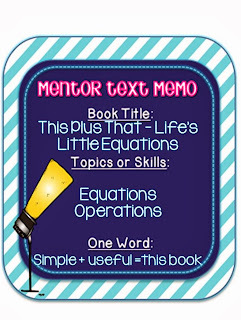 We also used two other books to extend our understanding of equations - but I will save those for another day!! Tomorrow we are working on addition strategies so that we can make equations! Have a great week everyone. 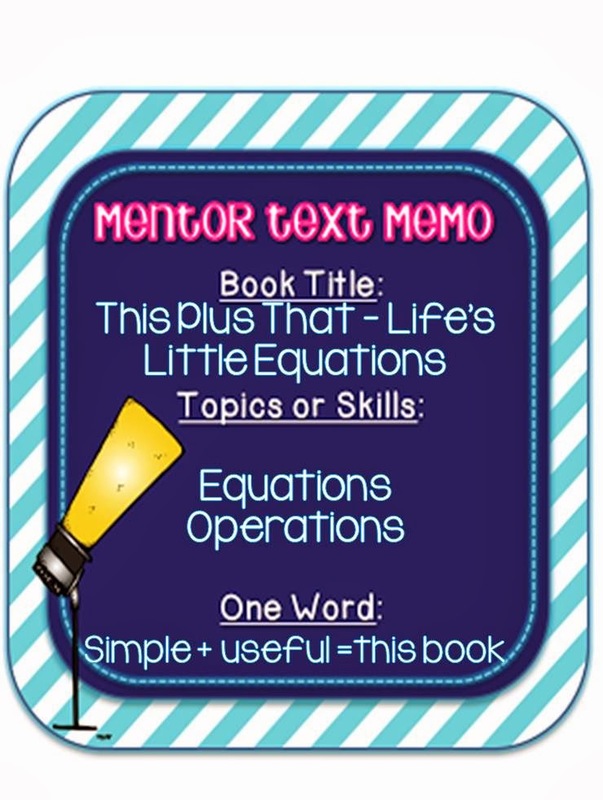 If you have not already done it, check out Amanda and Stacia's blog for some great math ideas, head over there now! Oh my gosh I love this!! What a great way to introduce this concept! I love this book. 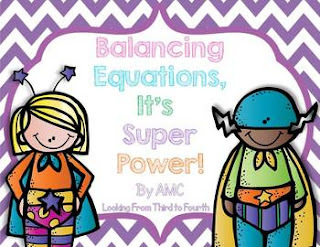 If you have not read 1 + 1 = 5 and Other Unlikely Equations, check it out. You'll love it. It's great for inference too.